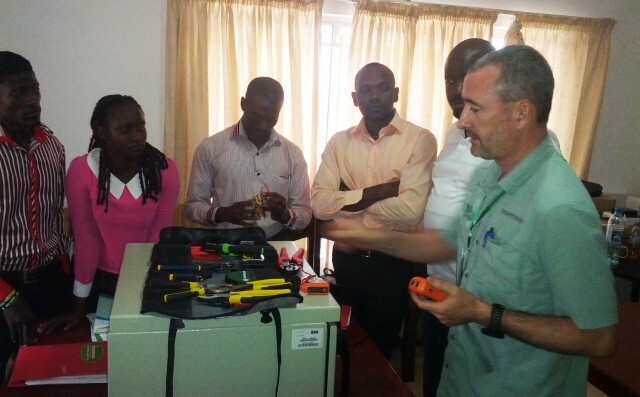 As part of the Ebola Response Connectivity Initiative (ERCI) project that Inveneo is doing with other partners, the next step is underway – training local technicians in Sierra Leone. 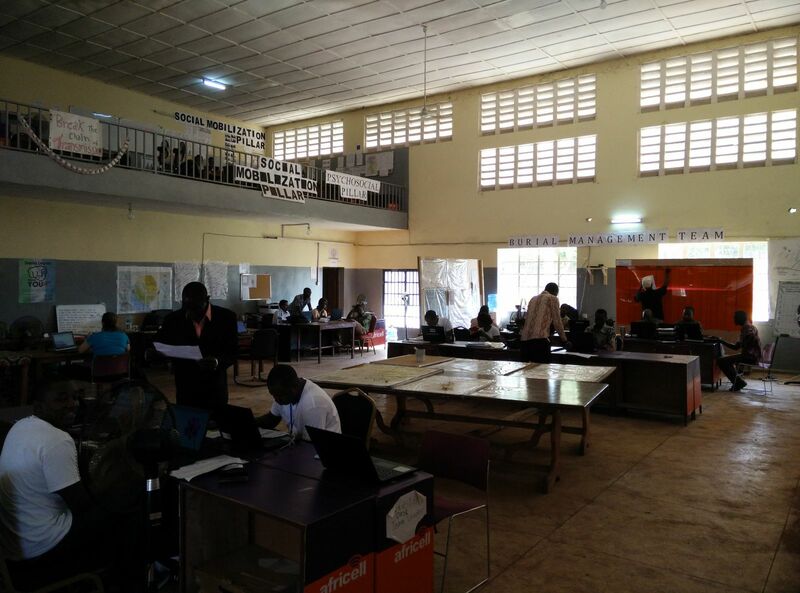 The Inveneo team has been on the ground in West Africa for several weeks now, and they recently started training the Inveneo Certified ICT Partner (ICIP) “Damsel Business Centre” on building Internet service for medical centers in Sierra Leone! To kick off this training, Damsel representatives have been meeting with Inveneo throughout this first week in February to go through a tower climbing safety course. Inveneo’s Director of Field Operations Samuel Perales leads training and discussion with employees from Damsel Business Centre, an ICT business in Sierra Leone. The training participants include Inveneo’s Director of Field Operations Samuel Perales, Inveneo’s Senior Field Engineers Sean Burgoyne, Matt Hulse, and Eric Kuhnke, and finally Inveneo’s ICIP partner Damsel from Sierra Leone. Damsel’s Director Eugene Tani-Luke brought with him five technicians to also take part in the training. Although representatives from AirTel and the Emergency Telecommunications Cluster (ETC) were invited, they were unable to make it. After the climbing training is completed the team will continue with preparations and logistics for the first Internet connectivity site. 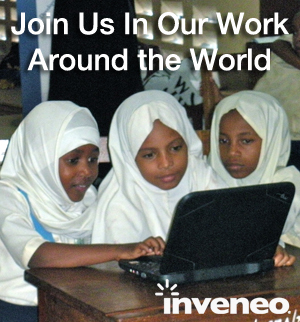 Inveneo’s current goal is to start the first Internet installation by Monday, February 9th. As Inveneo has been helping Damsel on safety throughout this training, they have been taking safety measures of their own. The men are washing their hands with bleach water, and when they enter a hotel nearby, a hotel staff member will take their temperatures on a regular basis. As positive as it is that Ebola infection rates have been going down, Inveneo is leaving no room for its team or its partnering teams to become sick in the process. In addition, NetHope has supplied the team with two Icelandic medics who may travel with them. Inveneo’s Samuel Perales feels that this ICIP training process is just the beginning of a vital project that will make a big impact in Sierra Leone. 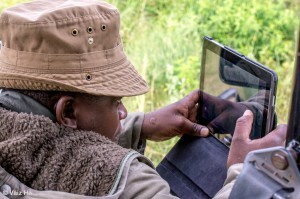 He notes that Internet connectivity is always important and an issue for any humanitarian organization, no matter if they work in immediate relief or long-term development. He notes that the ERCI project is no different – connectivity will remain an important tool for years to come as communities rebuild from the devastating effects of the illness. The Inveneo team and its ICIP will continue to work long and hard to make connectivity available for those in need it most in order to make as big an impact as possible. 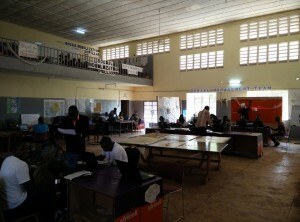 The Inveneo team has partnered with NetHope, EveryLayer, Cisco, and Facebook to extend broadband connectivity to medical centers fighting the Ebola crisis in West Africa. Our team is implementing the most relevant pieces of technology on the market, and often we rely on ARM-based products. 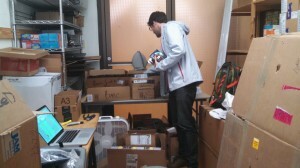 For the Ebola Response Connectivity Initiative (ERCI), the Inveneo team plans to use the BeagleBone Black Rev C, a Linux computer the size of a credit card. It is a “heart beat” technology that Inveneo will heavily rely on throughout the ERCI project to monitor the broadband network health. 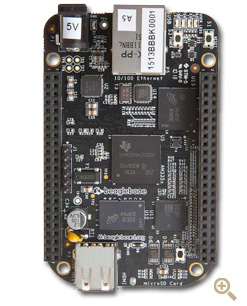 The ARM-based Beaglebone with its energy efficient, yet powerful processing power, offers the project real-time analysis through its AM335x 720MHz ARM® processor. The project will place Beaglebones in strategic points in the network for monitoring using SmokePing software. SmokePing works by sending many tests within a small period of time called pings and then calculates the median. Inveneo found that this open source program SmokePing is the single most useful measure of network performance, with a single graphic showing both latency and packet loss. 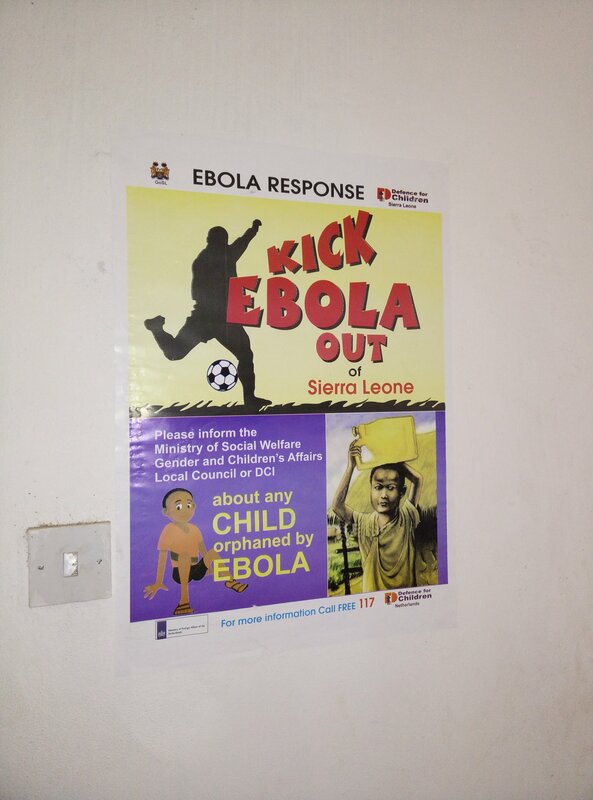 The data then is displayed graphically in a Network Operation Center (NOC) being established in Ghana. By using this approach, the NOC staff can be proactive in addressing network outage, bandwidth issues, and overall network reliability. In addition to SmokePing, our team will be using Zabbix, which will be installed for network monitoring. Zabbix is a free, open source program that monitors the radios and networking hardware over various protocols, including SNMP (Simple Network Management Protocol), which is a standard protocol for network monitoring. 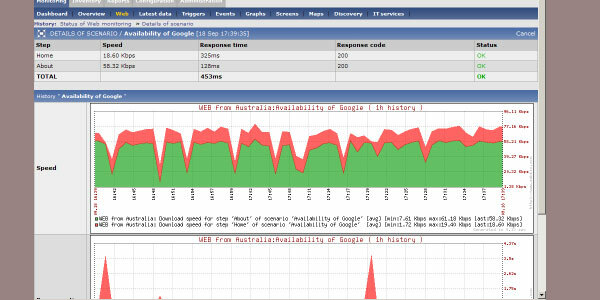 While SmokePing monitors the quality of the connection through packet loss, round trip time, and jitter, Zabbix collects a lot more information, has a very good user interface, and generates alerts via email when a device is performing poorly or is offline. Finally, it reports to the cloud so one can use a web-based front-end that can be assessed from any location (as long as there is an Internet connection). Our team will use BeagleBones because they run the Ubuntu operating system and also provide access to other command line tools which are useful for monitoring the network that would be used/ran directly by a human. By adding Smokeping and Zabbix, our software will be constantly running in the background and will be accessible from the cloud for access by the NOC. An example of the SmokePing layout. An example of the Zabbix layout.